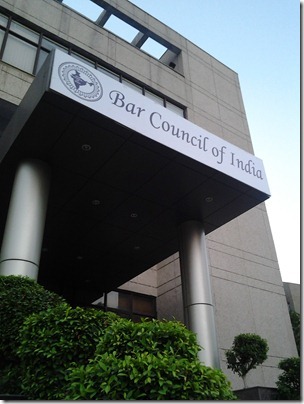 Bar Council of India (BCI) to make admit cards available online; Admit cards also being sent via e-mail and SMS. The Bar Council of India (BCI) yesterday announced that candidates of the All India Bar Exam (AIBE) will be able to get their admit cards from the BCI website from December 3, 2012 onwards. The current notification also mentions that the AIBE paper will be out of 100 and there will be no negative marking. A minimum score of 40% is required for passing the exam. So , all the fresh lawyers are required to get atleast 40% marks in this exam, failing which they will have to reappear in the exam, in their next attempt. 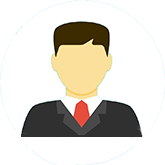 A candidate can appear for the exam till five years from the date of his enrollment. So be prepared for your exam. 1. Admit card of eligible candidates will be available on the website of Bar Council of India i.e. www.barcouncilofindia.org from 28th February, 2016 onwards. 2. The model question paper is already available on the website of Bar Council of India. 3. If (because of any reason) candidate does not get his admit card, he may reach to examination-centre at least 1 hour before schedule time of examination and may contact the examination in-charge of the centre. He should also carry identity-proof (such as Voter’s ID, Driving licence, identity card issued by Bar Council etc.). 4. If any person is found to create any sort of problem on the examination- centre, Bar Council of India will take stern actions or may initiate the case of professional misconduct against him. 5. No separate study material is provided by the Bar Council of India, the detail of syllabus is already available on the website of BCI. 6. Question will be asked only from the course which the candidates have studied in LL.B course. 7. The examination will be open book system, duration of examination will be 3 hours i.e. 11 AM-2PM. There shall be no negative marking; 40% is required for passing the exam. 8. In case, the candidate has no access to the website of Bar Council of India for his Admit-card, for his roll number, examination centre etc, he may contact on the help- line number- 0120-4897900 OR he may contact the Local State Bar Council or the Hon’ble Member of Bar Council of India from that State. (Contact the web-site of Bar Council of India). 9. The candidate who has provided e-mail or the mobile number(in his application form), admit cards are being sent on his email and roll numbers and name of centre through SMS also on his mobile.